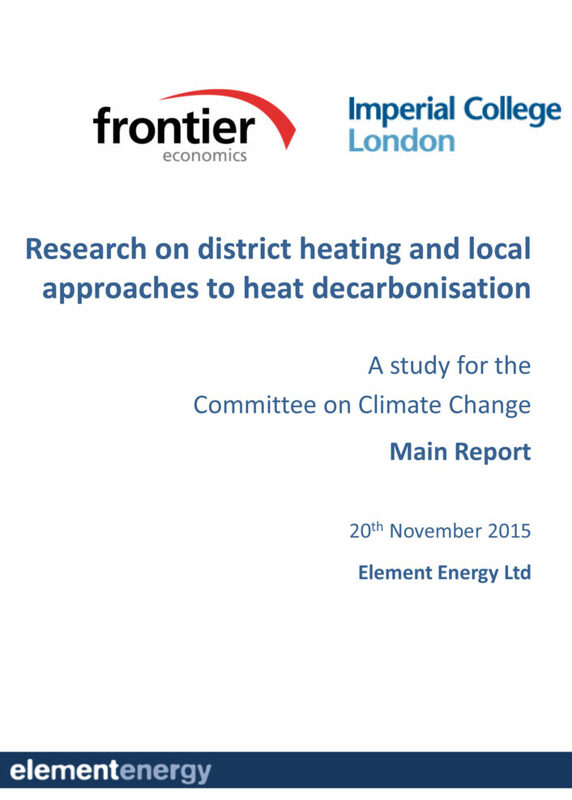 There are three core scenarios for deployment of district heating to 2050. The three scenarios reflect different levels of policy intervention to incentivise and assist the roll-out of district heating in the UK. For each scenario, this research presents the range of heat sources likely to be employed, the associated carbon emissions abatement and the abatement cost. The Central scenario leads to a deployment of 42 TWh/yrof DH in 2030 and 81 TWh/yrin 2050. The heat is supplied by a range of sources, many of which are highly localised, including waste heat from industry and power stations, water sources and sewage, as well as energy-from-waste and biomass. The displacement of the mainly gas-based counterfactual with these low carbon sources leads to a carbon emissions abatement of more than 15 MtCO2/yrin 2050, at an average cost of £108/tCO2. Policy intervention is required to overcome the existing barriers to uptake of district heating, including externalities, natural monopoly characteristics, demand uncertainty, barriers associated with policy, consumer barriers and institutional issues.